A Federal American dressing or shaving stand; mahogany and pine. This example retains the original mirror plate and is related to examples made in the Delaware Valley. This example has finely turned supports and an old mercury glass mirror. The mahogony surface has a fine patina. The secondary wood is white pine. 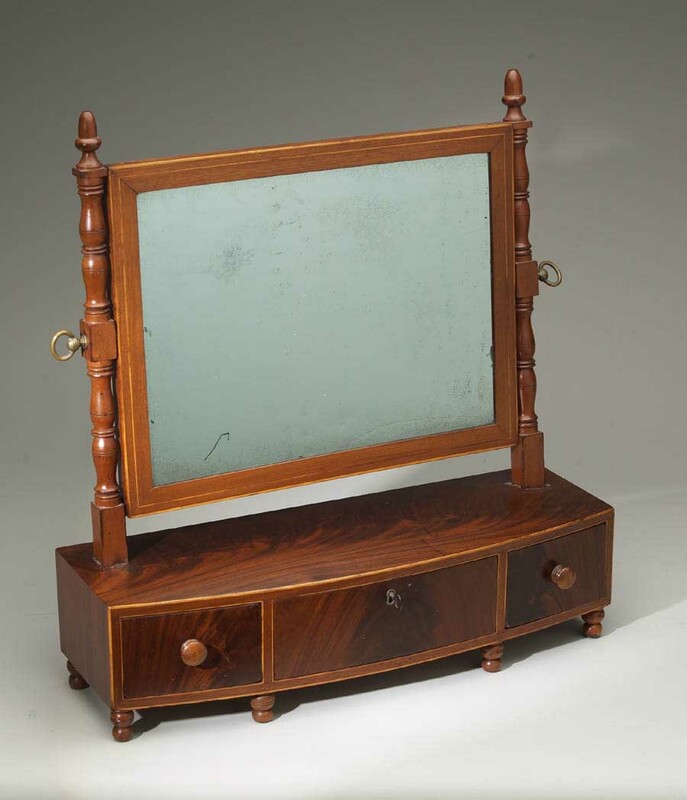 This piece has a bowed front with replaced Victorian hardware, fine inlay and turned feet. This antique has the usual small repairs and restorations.